“He was a racehorse who would turn up every start, perfectly sound, full of determination, a real pro,” Cummings said. “But that was only part of it. He always rose to whatever challenge we set him. Hallowed Crown retired after winning six of his nine starts, with five of those victories coming in Black Type races - two of them at G1 level. Cummings trained Hallowed Crown in partnership with his grandfather, the legendary Bart Cummings and having duly won his maiden on his racecourse debut, successfully stepped up in class on his next start to land the G3 Kindergarten Stakes at Randwick. Now clearly identified as a prodigious talent, the Cummings team put Hallowed Crown away until the following spring when he returned with a bang, taking the G3 Run To The Rose en route to victory in the G1 Golden Rose. In winning the Golden Rose, Hallowed Crown provided his young trainer with his very first G1 win, and an astounding 268th for his grandfather. Hallowed Crown went on to add another victory at the highest level to his record in the autumn of his three-year-old season to win the G1 Randwick Guineas. “His greatest achievement was when he came back and won the G1 Golden Rose, beating a group of top-class three-year-olds. Hallowed Crown is by fellow Darley stallion Street Sense, from the Danehill mare Crowned Glory. His dam was a G3 winner herself and finished second in the G1 Golden Slipper. Crowned Glory’s own dam is the Nureyev mare Lady Giselle, who second foal was none other than Zabeel, sire of 46 individual G1 winners and multiple Champion sire in both Australia and New Zealand. Cummings has been eagerly awaiting the arrival of Hallowed Crown’s first yearlings, saying, “I’ve seen his yearlings at Woodlands, they’re classy, have great temperaments, good clean legs and they are willing to work with us, which goes a long way. Hallowed Crown has 15 yearlings catalogued at the first two major Australian sales of 2018 including a half-sister to G1 winner and fellow Darley stallion Brazen Beau, who will surely be a highlight on the opening day of the Inglis Classic Sale, due to commence on Saturday, 10 February. Lot 94, a colt out of Miss Lombardi (Testa Rossa) from the family of G1 South Australian Oaks winner Tully Thunder, the recent Flemington G3 winner Levendi and prolific producer Fleur De Chine. Lot 845, a colt out of Jehannedrac (Montjeu) a Stakes-placed multiple winner in France. He is from the family of Giant’s Causeway, You’resothrilling and Champion juvenile Gleneagles. 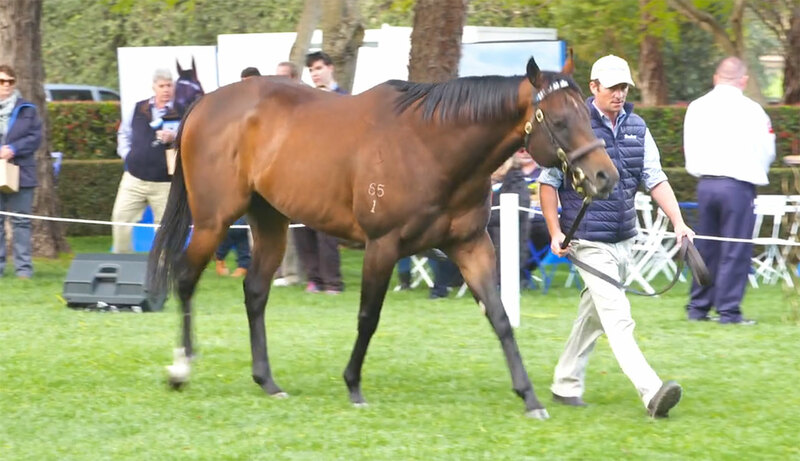 For a full list of Hallowed Crown's yearlings at the Magic Millions, please click here.